Imagine a tiny computer found in unexpected places across the city—making your daily life richer, more informed, and easier. That’s the Intel® Compute Card. Revolutionary in size, form, and function, the Compute Card is driving the future of smart computing, turning your world into an enhanced, connected one. 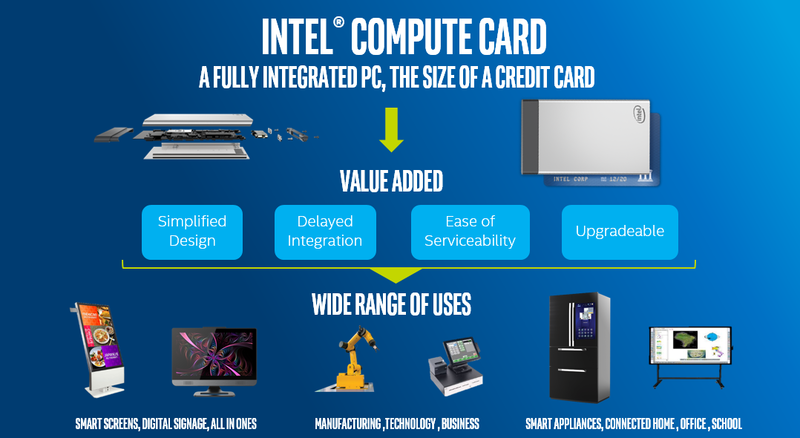 Intel unveiled the Intel® Compute Card, a modular platform developed to transform how devices compute and connect. It has all of the elements of a full computer, including Intel SoC, memory, storage and wireless connectivity with flexible I/O options so that hardware manufactueres can optimise for particular solutions. 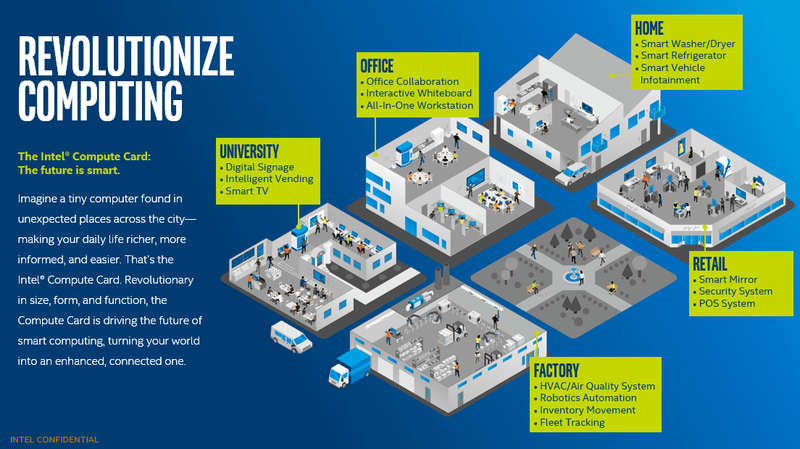 At Computex 2017, Intel showcased a variety of solutions utilizing the Intel Compute Card that are currently being developed by a wide range of partners, spanning laptops and tablets to digital signage and POS to AIOs and intelligent whiteboards. 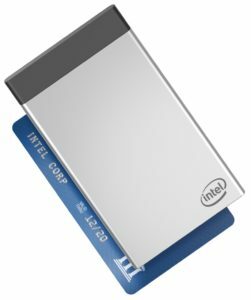 Intel also released the Compute Card Device Design Kit, a set of guides and reference designs that contain the information a device developer will need to create a product that supports an Intel Compute Card.